Skateboarding is not immediately associated with university research projects. 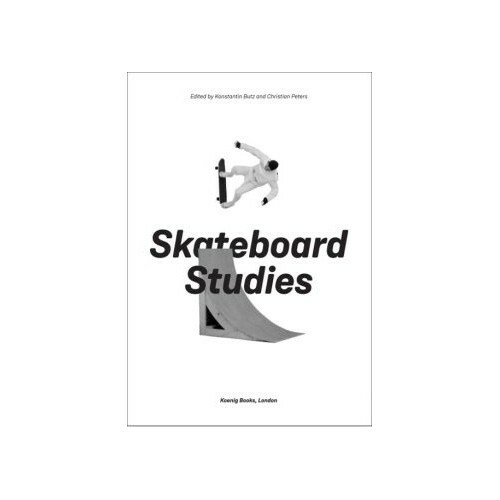 It is first and foremost a physical activity, and no scholarly approach can substitute for the empirical knowledge gained through the act of skateboarding itself—the movement of the body with and on a skateboard. Nevertheless, the theoretical implications of this movement and its spatial, cultural, and social settings are ripe for exploration within a number of different academic disciplines. The publication provides a comprehensive insight into these discourses. 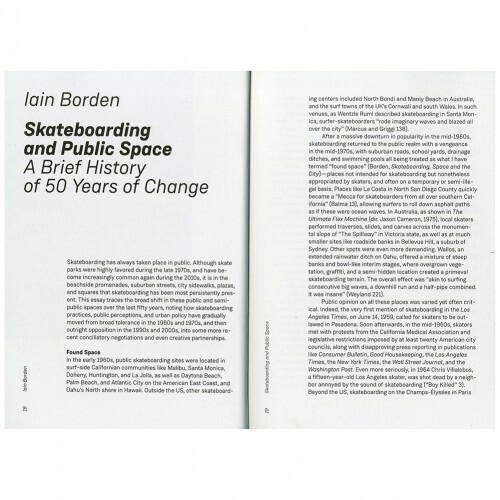 Since skateboarding can influence and touch upon so many aspects of our everyday life through its unique appropriation of and relation to the urban environment, the theoretical reflections and discursive explorations it triggers can alter the way we think and move. Authors include: Iain Borden, Konstantin Butz, Ocean Howell, Kyle W. Kusz, Christian Peters, Kai Reinhart, Eckehart Velten Schäfer, Francisco Vivoni and Emily Chivers Yochim.